Since more than 70 % of the national land of Japan is mountainous, the Japanese have been aware of the nearby mountains as well as big and high mountains far away for the volcanic actions and earthquakes. They were also symbolic places of worship for their heights and rich nature that showed various scenes of creation and destruction which conjure the image that leads to heaven, after world or divinity. 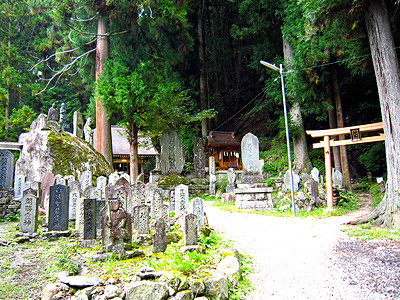 ‘Komagatake’ is the mountain where Ojira River starts, and has been opened as a training field of ‘ShugendoW’ (a syncretic Buddhist religion originated in pre-Feudal Japan) about 300 years ago. ‘Komagatake’ means “mountain of the horse”, named after the ancient story of Prince ShotokuW, a semi-legendary regent and a politician of Japan in 6th century, who made a round trip from Nara to the mountains on his white horse. 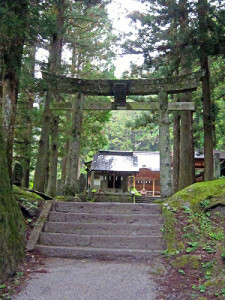 The Komagatake Shirine is set at the entrance of the path to the Komagatake’s top as a place for devoting their prayers of daily worship and their practices of mountain climbing. 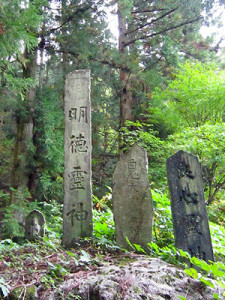 The Komagatake worship was at its peak in the end of Edo period to early Showa periodW (from about 1750 to 1930) which you can see by the amount of stone monuments and Buddhist statues crammed within the place. We think this Shrine still keeps an old form of how shrines were before the opening of Japan in 1854 when people worshiped ShintoismW, Buddhism and Animism all together for they were more close to nature. 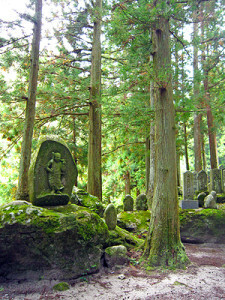 Still, the Shrine enshrines ‘Daikoku-tenW’ (one of the Seven Gods of Fortune) who provides crops, usually personalized cheerful-looking ample figured man with sacks full of rice resembling that the flow of the Ojira River that pours into rice fields is depending on Komagatake mountains. 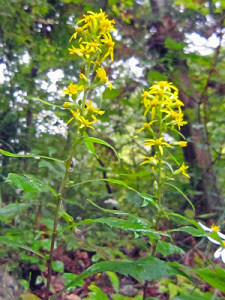 Address : 88884 Shirasu, Hakushu-cho, Hokuto-shi, YAMANASHI Pref.